Apparently I have entered the stage of my life where the “children” are now having children. I’m not a grandmother yet, but I know plenty of women who are. That being said, one of my sister-in-law’s girls is currently expecting her third – the gender has not been revealed – and so I thought it would be nice to make something for the newbie. So, what to make? In trying to keep with my use-up-the-stash resolution, I wandered through the yarn I had and found some light yellow and golden yellow, perfect for something gender neutral. And then, Voila! 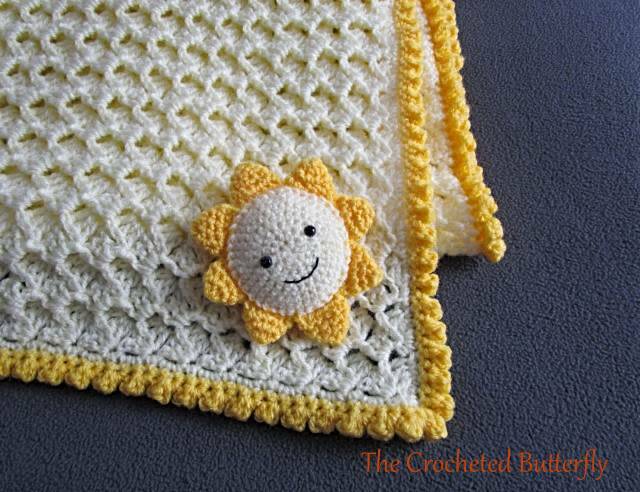 – the Sunshine Baby Blanket was born. I recently discovered the Crystal Wave stitch and I wanted to try my hand at it (pattern by Crochet for Baby) so that became the bulk of the blanket. 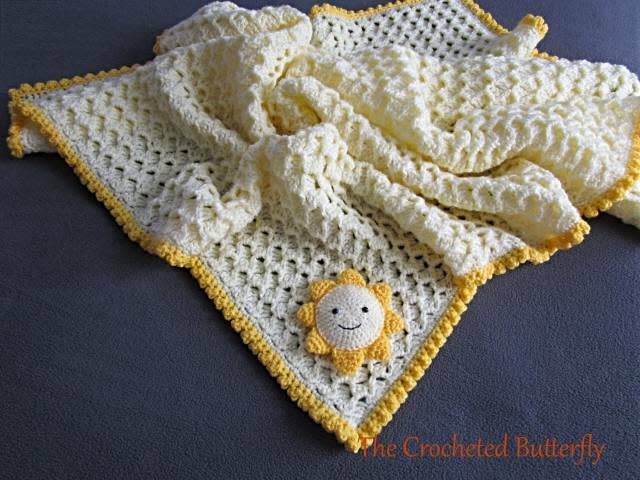 Then I decided to use the golden yellow to create a small bobble border, Just because I think bobbles are fun, and babies should have fun things! Then lastly, I needed to find a little sun for the corner of the blanket. There are many adorable suns in Crochetland, but the sweet little Sol Amigurumi from Vanessa Doncatto of the Yarn Handmade’s Ravelry Store stole my heart – and it’s a free pattern, too! Definitely a win-win. 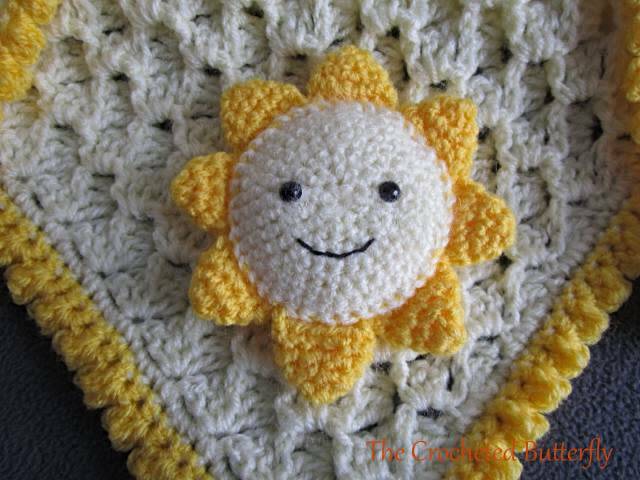 So as I try to get “You are my Sunshine” out of my head, I wish you happy crocheting!